Find a professional mover as soon as possible. A key indicator of the quality of a moving company is the number of questions they ask. knows that the more information they have up front, the greater the chance of the quotation being accurate and the move going smoothly. All Jersey Moving & Storage offers an in home estimate or a comprehensive online estimate toolto ensure there are no hidden surprises – on either side. We have the experience to know if we’ll need to dismantle a piece of furniture, remove the feet or even a door to get the furniture into the room and set up as quickly as possible so you can feel settled. Buy furniture from a specialized manufacturer. Consider purchasing new sofas or love seats from a company that allows you to design your own configuration. They’ll provide you with dimensions and illustrate the many ways your furniture can be arranged in the room. Since downtown condos have become popular with millennials and older people downsizing, many companies now offer smaller “condo sofas” or ingenious multi-purpose pieces that can be sofas by day and beds at night. Don’t plan a do it yourself move. Moving is stressful enough without realising when it’s too late that you’ll have to a heavy dresser up a flight of stairs or that your king size bed doesn’t fit in your room. You could also be risking damage to the floors or walls at your old and new homes or injuries to your back. People on a tight budget often try to save money by renting a van and asking friends to help without thinking of the costs of forfeiting a deposit because of damages, missing work or breaking possessions. Some even end up abandoning items! Don’t be a desperate dumper. All Jersey Moving & Storage offers premium serviceat affordable prices. We can even move, load and leave with your pianoin under an hour. We only use trained and experienced staff, not casual labor. This means what takes your temporary team a whole day only takes our professional one a few hours. There are many online planners available. Of course you can also use good old fashioned graph paper. Just remember to map electrical outlets and heating panels and ensure that you leave enough room for passing human traffic. With All Jersey Moving & Storage, it’s never too late. 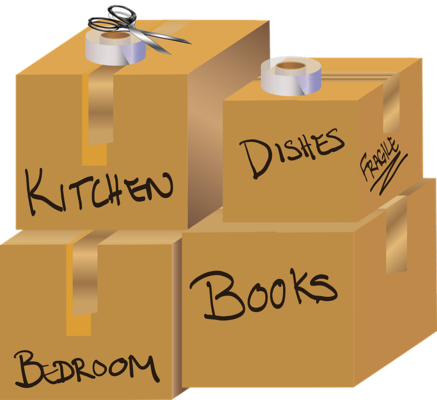 If you’re overwhelmed because you see you have more stuff than you thought,we can step in at the last minute and help you pack and unpack. If you’re having second thoughts about taking an unwieldy piece of furniture, we can wrap it securely and transport it to our containerized storage facilityuntil you’re settled and can decide if you want to keep it. We also understand that once everything’s unpacked on moving day, you may change your mind about the placement of various items. Read our referrals from the families of seniors who were grateful that we patiently relocated furniture at retirement facilities until their parents were happy in their new home. Contact us today for a free moving quote.